Peeple allows users to leave ‘feedback’ about others in three areas: personal, professional and dating. Controversial reputation app Peeple has officially launched, allowing users to leave ‘feedback’ about others in three areas: personal, professional and dating. The app, which was described by many as Yelp for people, came under fire when it was first announced in October 2015, as the platform’s original form wouldn’t let users opt out of being reviewed. To be clear, in the app’s previous design, users could write reviews about anyone so long as they had their phone number, and these users couldn’t delete any potentially negative comments posted about them. Peeple co-founder Julia Cordray previously said the app was built to focus on positivity. In its launch version, users can still write comments about users not on the platform, but instead of automatically creating profiles for these users, they can only invite them to join Peeple. In addition, the app’s website said these comments will ‘never go live without (the recipient’s) permission.’ When users do voluntarily sign up for the app, they can control which comments others can read … to a point. In a future update, Peeple said it will allow users to subscribe to the ‘Truth License,’ which will allow them to see everything that has been written about another person, whether it was published on their profile or not. In October 2015 Peeple announced itself to the world. The reputation app promised to connect people with each other through honest reviews. The world talked back. People believed Peeple threatened their privacy, was prone to cruel bullying, threats and abuse. Then, something ironic happened. The developers of Peeple were threatened, their privacy was invaded and they were castigated and shouted down on Twitter, YouTube, LinkedIn and Facebook. They were overwhelmed by thousands of harassing emails, comments and phone calls. All this before the Peeple app ever actually saw the light of day. People taught Peeple a valuable lesson and now the app is better than ever. In an attempt to protect users, the app utilizes a double authentication process, requiring users to sign up with their Facebook account, and with a pin sent to their mobile device. Users are also allowed to block and report other users. 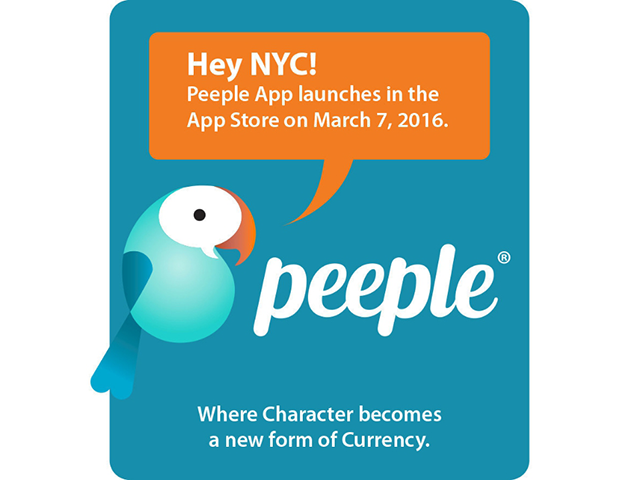 Peeple is available to download for free on the iTunes App Store. The app will come to Android in the future.